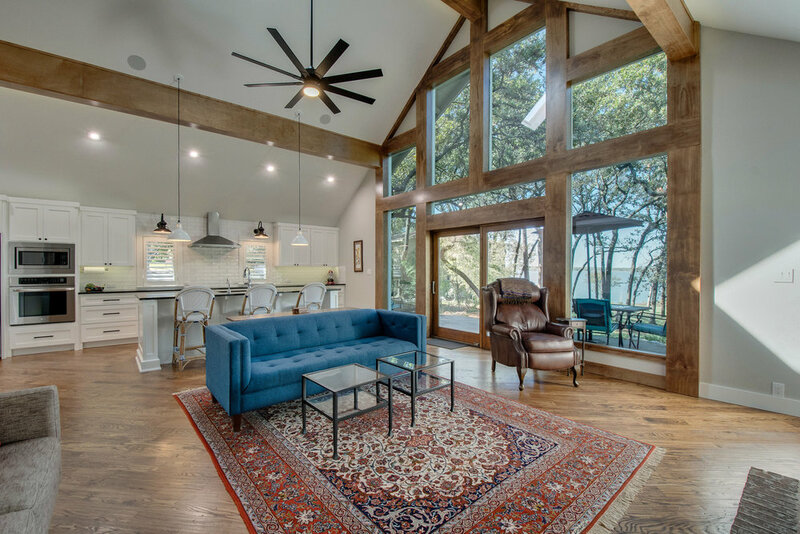 RHR Builders is a general contractor in Southlake, serving Dallas/Fort Worth, specializing in custom residential and commercial remodeling and new builds. We help homeowners create a vision for their home by planning, designing, pricing, and building their dreams. Our company reflects each client’s need for the highest standard of quality using experienced professionals, and crafting a unique home for our clients. From new home construction to a luxury bathroom remodel, our general contractor team can be trusted to hold to the highest standard. From a new home construction to a bathroom remodel, we've designed comfortable and livable spaces for families of all shapes and sizes. Your search for a residential general contractor ends here. If you are looking for experts in home remodeling and renovations, we are your team. Our residential general contractors always go the extra mile to ensure you are satisfied with the end result. Contact us today to learn more. We have extensive experience designing interiors for restaurants, offices, and other commercial projects. From helping you design the ideal space to carrying out the labor, we are the local Southlake general contractors to trust. Scroll below for a sample of our work. A bright, inviting custom residential build. Starting from the foundations, we built this house from the ground up. Everything about this house was handpicked and hand laid. From the expansive living space to the modern pool and offices, this family had several different needs for their house. No detail was overlooked. 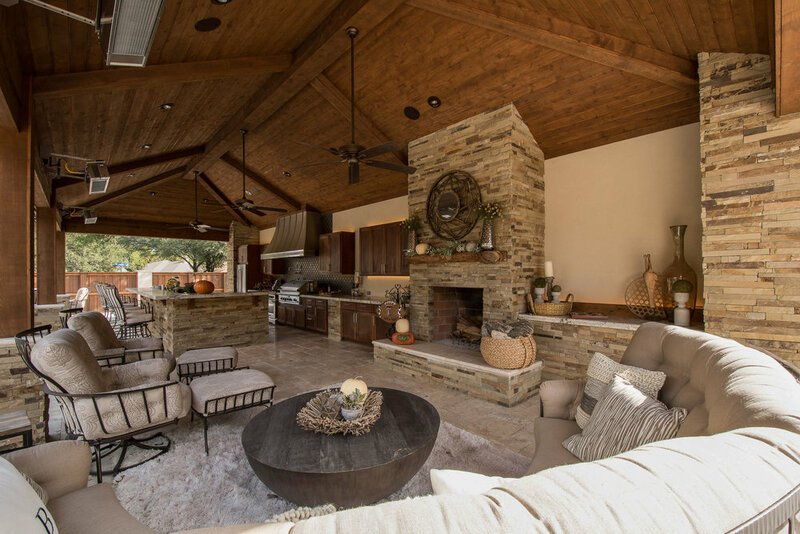 Our attention to detail is what makes us the proven choice for custom home builds in DFW. A family home gets a needed second story addition. This family needed more room in their house. For this renovation we started from scratch and built an entire second story over the existing family room. We added new bedrooms and bathrooms and a much needed office for this expanding family. Check out our finished work below. Our quality of work is what sets us apart for home remodeling in Dallas/Fort Worth. A lakeside property gets a total overhaul. This might be our dream home. We started from the studs on this property and wanted to take inspiration from the views outside the house. We built in huge modern windows to make the home feel like it's as much inside as it it outside. From modern finishings and hand selected furnishings, we think these homeowners are going to have trouble ever leaving ... except to go to the lake! A high-end luxurious master bath. 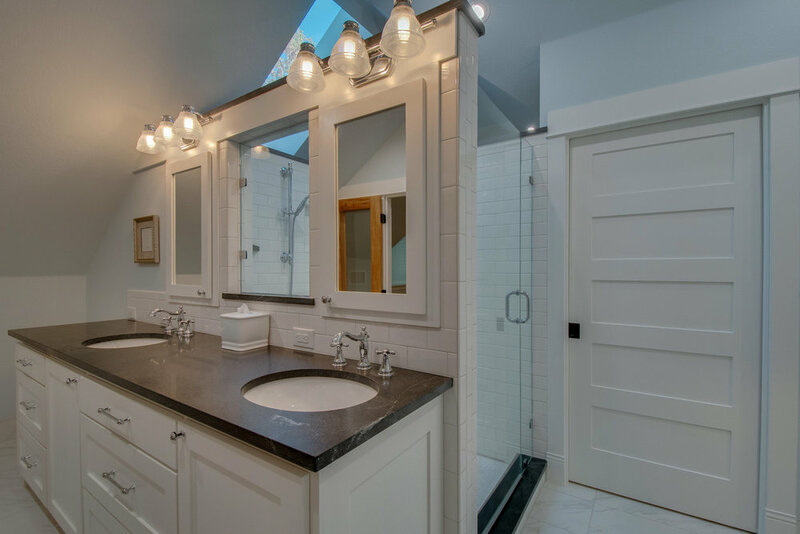 This renovation included tearing out the existing mater bath and, using the same footprint, we re-purposed the entire look, updating everything from cabinetry to finishings and fixtures. The result is a stunning bathroom renovation. Open, airy indoor and outdoor living space. On this renovation we took out an existing post to open up the kitchen and living room , built a new pergola for the family's outdoor living space, built a brand new garage, and added new attic storage.